Want To Boycott the NFL? Too Bad Your Government Forces You To Support Them. Yep, if you are a taxpayer, you are forced to pay for NFL teams and their stadiums at both the federal and state level. If you haven't already, please read my previous post The DOD Paid NFL Teams For Patriotic Pony Shows as it provides some context for what I'm about to tell you. It turns out that the $6M in advertising contracts is just the tip of the iceberg. Since 2000, $3.2B in federal tax-exempt municipal bonds have been used to finance the construction and renovation of 36 Sports Stadiums. Overall, NFL teams have received $7B in government aid over the past couple of decades. Just to give you a glimpse: the Patriot's Gillette stadium cost Massachusetts taxpayers $72M; the Steelers' stadium cost Pennsylvania taxpayers $171M; direct subsidies to the Colts cost Indiana taxpayers $619M, and the New Orleans Saints will cost Louisiana taxpayers $400M in direct and indirect subsidies between 2012 and 2025. Proponents of stadium subsidies claim that they are public investments , which generate additional growth in local economies, but this is simply the broken window fallacy writ large. Robbing Peter to pay Paul never creates wealth. The revenue that is redistributed to the franchise and businesses within its proximity must be taken from businesses where people would otherwise spend their money or save it and allow it to be lent out for other purposes (perhaps as loans to start a new businesses). Government redistribution is sum zero; it does not create any wealth of its own. Initially, I didn't plan to respond to the trivial debate raging on social media over what position football players should assume while the national anthem is being played. In my opinion, their only offense is being attention whores. I couldn't care any less about the ritual protocols Trumpbots have established for us. That being said, there is a real story under the veneer of virtue signaling and patriotic hand waving. 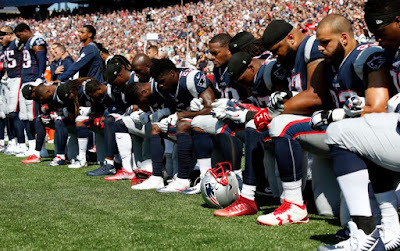 If you are cognizant of recent history, you know that NFL players did not stand for the national anthem prior to 2009; in fact, they didn't even leave the locker room. 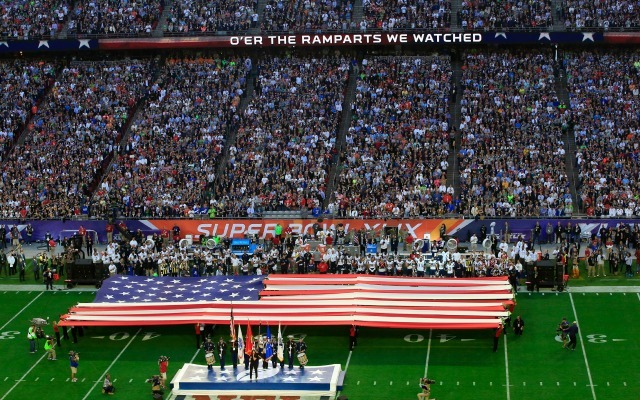 The NFL's recent interest in promoting patriotic fervor, over the course of the last few years, is largely an advertising campaign paid for by the Department of Defense. Back in 2015, senator Jeff Flake revealed, in an investigation into wasteful spending, that the Department of Defense, through the Army National Guard, had established multiple advertising contracts with various teams for ad space and other marketing services. The Department of Defense doled out a total of $6M to 16 NFL teams between 2011 and 2014 (it probably began in 2009) for such things as big screen announcements like the Hometown Heroes segment and a kickoff video message from the National Guard as well as events like annual team luncheons that include photo ops with the players and charity events hosted by the teams. One of those 16 teams was my home state's own New Orleans saints. From 2011 until 2014, the Army and Louisiana National Guard paid Tom Benson's franchise, which is already subsidized by Louisiana taxpayers, $572,875 for fulfilling their advertising contract. Other franchises that contracted with the National Guard included the New York Jets, the Atlanta Falcons, the Baltimore Ravens, the Buffalo Bills, the Cincinnati Bengals, the Cleveland Browns, the Green Bay Packers, the Indianapolis Colts, the Kansas City Chiefs, the Minnesota Vikings, the Pittsburgh Steelers, the St.Louis Rams (for one year), the Dallas Cowboys (for one year), the Miami Dolphins (for one year), and the San Francisco 49ers for a year. The most disturbing part of this story is not the fact that the patriotic pony shows resulted from a business deal between the NFL and the federal government as an effort to recruit more soldiers and retain those already enlisted, but that the general public is blissfully ignorant of it. And that is the problem with America, most people don't know what their government does with their money. As long as Americans are accustomed to straining at gnats and swallowing camels this won't change. This point is obvious to anyone who has two brain cells to rub together. If you have any basic understanding of history and economics you know that governments go into debt when they wage war; usually borrowing the funds by issuing treasury bonds. This is why the United States has had a public debt for the vast majority of its history; it has always been at war. Of course, the advent of the welfare state in the 1930's and 40's, which was in part a byproduct of war (as well as the great depression) made it worse. As of now the national debt has surpassed $20 trillion, or about 104% of GDP, with interest exceeding $268B, about 7% of the budget, and a budget deficit nearing $700B. This resulted from the combined efforts of big government democrats and 'small government' republicans. Remember that next time you go in a polling booth. 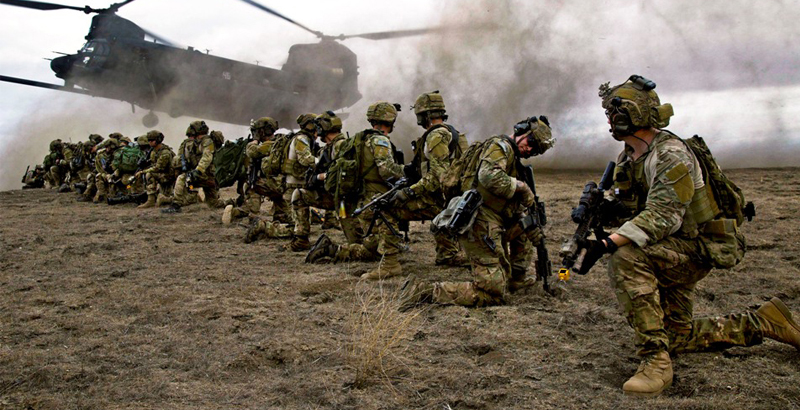 As of 2016, the wars in Iraq and Afghanistan have cost a total of $5 trillion, and by now are probably near $6 trillion with interest. That would be about 30% of the national debt. With the Trump admin escalating the war in Afghanistan, sending more troops into Iraq, Syria, and Yemen and eyeing Venezuela, the war debt will likely grow larger as a proportion of the national debt. And with the Trump admin looking to increase the DOD budget to more than $700B, perhaps it will even eclipse medicare in total cost. The national debt in itself is not what should concern us. There will never be a time when the federal government's creditors, mostly wall street banks and foreign governments, will go door to door asking citizens to cough up their share of the national debt. There will also never be a time when the federal government defaults on its debt, regardless of how large that number grows. Unlike a private business that goes into debt, there is no fear of defaulting because your labor is their collateral. As long as you can be forced to toil on their behalf and pay for expenses they incurred, they have nothing to lose; they have no skin in the game. It's a win-win for the politicians, the defense contractors, the Wall Street Bankers, and the rest of the pyschopathic plutocrats that live at the expense of the common man. The growing debt is profitable for them, but not so much for you John Doe. You see serfdom was never abolished; it just became more efficient. 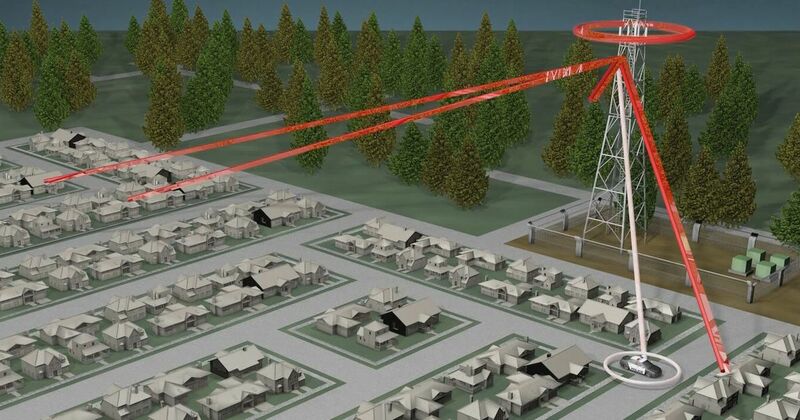 For those unfamiliar with this topic, stingray devices or cell site simulators are used to track cellphones. They do this by mimicking cell phone towers prompting phones nearby to connect to them. In practice, they are tools for dragnet surveillance, and some are even configured to pickup communication data from phone calls and text messages. Back in December of last year, the House Committee on Oversight and Government Reforms released a report revealing that state and local police purchase and operate cell site simulator devices, known as stingrays, in secret. The report titled Law Enforcement Use of Cell-Site Simulation Technologies: Privacy Concerns and Recommendations also identifies several federal grant programs that state and local law enforcement use to purchase the devices. The bulk of the funding for stingrays comes from DHS, which allows police to receive grants administered by FEMA. Funding from DHS only totals $1.8 million, but this is just the tip of the iceberg. The report indicates that several other grant programs exist specifically for purchasing stingray devices including State Homeland Security Program, Law Enforcement Terrorism Prevention Program, Citizen Corps Program, and the Intercity Passenger Rail Program. The committee's investigation, which was conducted using a sample of 4 major cities and 2 states, identified two law enforcement agencies that used DHS funding to purchase their sting ray devices, namely the Baltimore PD and the Tennessee Bureau of Investigation. The DOJ was also implicated in providing cell site simulators to state agencies, although they supposedly play a very limited role, and in their own words do not generally fund stingray purchases. But this is indeterminate. The real question is not who provides these stingray devices, but how are they used? The latter cannot be answered since the FBI along with the manufacturers of these devices require law enforcement agencies to sign non-disclosure agreements as part of the TOS. The non-disclosure agreements are strict. They forbid police departments from revealing any information about their purchase or use to the public even in criminal trials. One of the manufacturers included in its terms and conditions of a sale language that the purchaser “shall not disclose, distribute, or disseminate any information regarding Customer’s purchaser or use of” the equipment “to the public in any manner, including but not limited to: in press releases, in court documents and/or proceedings, internet or during other public forums or proceedings. The implications of this policy are far reaching. Police departments across the country could conduct warrantless surveillance within their jurisdiction and the public would be none the wiser. If the police are prohibited from mentioning these devices even in court proceedings and documents, it must be assumed this includes probable cause affidavits and pre-trial court hearings. If that is the case, then police would be more or less obliged to either omit evidence obtained through stingray surveillance or use parallel structuring to account for the evidence they obtained. Usually, they would have the incentive to do the latter. Of course, the ramifications here are two-fold. Even if the data police gather isn't used in court, it will more than likely end up in an FBI or DHS database (since these agencies are behind the non-disclosure agreements in the first place). Regardless of how this turns out, police that operate in secret always put liberty in peril. Transparency and public scrutiny are fundamental to republican government; without them a nation descends into despotism. The irony of accusing someone else of trying to destroy our constitutional government while calling for the destruction of constitutional rights, in this particular case, is lost on the petitioner. The constitution doesn't establish a government that rules by edict, but that is exactly what this person is unwittingly calling for. There is this little know thing called the 5th amendment to the bill of rights, and another little known thing called the presumption of innocence; they work in tandem. The 5th amendment guarantees No person shall be deprived of life, liberty, or property, without due process of law . Posting a list of accusations on the Whitehouse website is not due process and neither is a proclaimation by an unelected bureaucrat. Since the accusation is a criminal offense, due process entails a criminal investigation, an arrest, criminal charges, and a criminal trial by a jury of his peers, where you know evidence is presented. A list of accusations on a Whitehouse petition is not evidence. They are simply claims, claims which require proof, and the presumption of innocence places the burden of proof on the people making the claims. What the petitioner is calling for is a backwards and logically absurd justice system where the accused is required to prove a negative in order to evade punishment. If we were to apply this rationale universally, any one should be able to get anyone else's property taken from them by simply accusing them of a crime. Acts of government don't occur in a vacuum; when one person's rights are violated it sets the precedent for subjecting everyone's rights to a similar treatment. Now I am all for a federal investigation of George Soros, especially his ties to the antifa terrorists marauding through our streets, but it must be done by the books according to the legal and moral principles enumerated in the constitution. The Worldwide Fund for Nature refuses to bring a halt to the genocidal campaign their goons are carrying out against the Baka Pygmies in the Congo Basin. The so called eco guards that WWF funds have beaten, rapped, tortured, and sometimes murdered Baka Pygmies for subsistence hunting and forging in their own homeland, the same homeland that WWF, in collusion with the Cameroon government, appropriated and designated as a protected area. Survival International, Cultural Survival, Conservation Watch, Rain Forest Foundation UK and other indigenous rights organizations have gathered ample witness testimony to the atrocities committed by the conservation death squads that WWF funds. USAID supports WWF's activities in the Congo Basin through an initative called Central Africa Regional Program for the Environment or CARPE for short. USAID does not do any of the ground work themselves ,but rather provides grants to WWF and similar conservation NGOs to implement their policies. The program has been implemented in 8 West African countries on the specious pretext of developing 'low carbon economies' and preserving forest biodiversity. UN Convention 1021 defines genocide as: a) Killing members of the group;(b) Causing serious bodily or mental harm to members of the group;(c) Deliberately inflicting on the group conditions of life calculated to bring about its physical destruction in whole or in part;(d) Imposing measures intended to prevent births within the group; (e) Forcibly transferring children of the group to another group. By prohibiting the Baka from hunting and forging for food, through the threat and initiation of violence, the WWF and their eco guards have not only starved the Baka, but have also prevented them from passing down their culture to their children which altogether constitutes (a)killing members of the group (b) causing serious bodily harm and (c) deliberately inflicting on the group conditions of life calculated to bring about its physical destruction. Even the WWF has acknowledged the atrocities committed by their eco guards. In fact, the WWF commissioned a report on human rights abuses committed during night raids in April of 2015, but since then they have done nothing to address it. Their own guidelines state that they don't support the establishment of protected areas without consulting the indigenous people and that the indigenous people must be included in the forest management process, but this is clearly just lip service. Within the same protected areas where the Baka are prohibited from hunting, forging, building shelter and carrying out their traditional rituals, WWF allows its corporate partners, like French logging company Rougier Group, to carry out logging operations, which undoubtedly places a much greater strain on the forest than the daily activities of a traditional society. For instance, the logging roads that Rougier group has to build to move trucks in and out not only destroys the habitats of several species, it also provides poachers with easier access to the forests. The further one digs into WWF's partners and donors, the more apparent it becomes that their conservation efforts are a ruse; they are nothing more than a green front for extractive industries, and the logging industry in particular. Prominent corporations that partner with WWF through their Global Forest & Trade Network include Domtar, the largest paper manufacturer in Canada, Coca Cola, which obviously uses a lot of coca leaves and water in its production, Ta Ann Holdings Berhad, a logging company that clear cuts rainforests in Boreno, as well as Bollore Group, Pasquet Group, and Rougier Groups, three French logging companies that operate on Baka and Bayaka land in the Congo Basin. All three companies have been fined for illegal logging practices by Cameroon's Independent Forest Monitor multiple times, and these three were not the only offenders in Cameroon. Other partners like German logging company Danzer Group (IFO) and Belgium company Decolvenaere have also been caught violating logging regulations in the Congo Basin. Aside from the extractive industry, WWF also partners with major corporations like WalMart, Johnson & Johnson, and Royal Caribbean Cruises, but their penchant is for logging companies; 75 out of the 157 companies that participate in their Global Forest & Trade Network are logging companies or manufacturers of paper and wood products sourced from the Congo Basin. It is clear as day that the indigenous forest people like the Baka and Bayaka Pygmies are forcibly removed not to maintain the biodiversity of the forests, they have been doing that for millennia, but to make way for the European loggers. If the WWF were truly interested in conservation, they would work with the indigenous pygmy tribes to demarcate the national parks as their territory. The Baka were in the forest management business long before Europeans arrived with their good intentions. Furthermore, the Baka have a vested interest in preserving the Congo Basin, unlike the European and American Conservationists, since they actually live there and depend on the forests to survive. Deforestation would be their undoing, the European and American conservationists would not have that same problem. At most they would have to find some other industry to lobby for. The following story is a follow up report about the use of emeinent domain to take houses from low income residents in Charlestown, Indiana and give them over to private developer Neace Ventures at the lowest cost possible. To catch up on this developong story read The Red Tape Times (article 20). At the end of August, the Institute for Justice leaked a series of documents which contained the correspondence among Charlestown mayor Bob Hall, city inspector Tony Jackson, city attorney Michael Gillenwater, and Neace Ventures project manager John Hampton, from last year. The documents showed that the aforementioned city officials had colluded with Neace Ventures in lowering home appraisals in their endeavor to make using eminent domain against any 'holdouts' as cheap as possible for the developer. 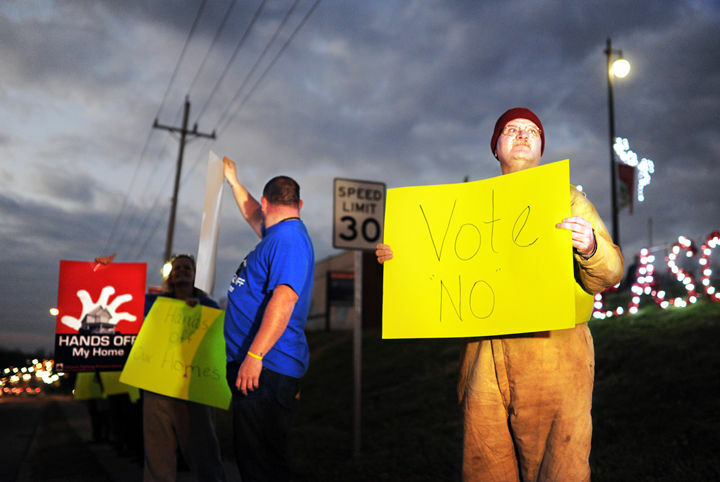 Their scheme was to use the city's property maintenance codes to stack fines against Pleasant Ridge homeowners and allow Neace Ventures subsidiary, Pleasant Ridge Redevelopment LLC, to buy up vacant lots from the city, further driving down home values in the neighborhood. Once the accumulated fines became over burdensome for the homeowners, the city would swoop in and offer to buy their house for $10,000, well below market value, in return for voiding the fines imposed on their property. The only other option offered was to raze their houses. As reported previously, the city inspector and mayor violated municipal, state and constitutional law in the process 1) by not notifying residents beforehand to allow corrections 2) imposing immediate accumulating fines 3) taking property without just compensation and for the exclusive use of a private entity, and 4)imposing fines without allowing homeowners to appeal the fines in a civil hearing. The leaked documents reveal that mayor Bob Hall, attorney Michael Gillenwater and project manager John Hampton planned to railroad the project through as early as July 6th of last year even though Bob Hall claimed ignorance of the project to the press the next day and told WAVE3 TV, at the end of September, that eminent domain wouldn't necessarily be used. Even before the July 6th meeting between Bob Hall and John Hampton, the mayor reached an indemnification agreement with Pleasant Ridge Redevelopment LLC, promising to compensate them for any lawsuits. What's more, the city inspector, Tony Jackson, profited from the project by doing contract work on the side removing asbestos from condemned houses. It is doubtful that any of the conspirators in this robbery will ever be criminally indicted much less face prosecution. As long as the order of the day is one set of laws for us and a separate, less strigent set of laws for politicians and bureaucrats they will continue to ruthlessly prey on their own citizens. The growth of occupational licensure has cost consumers $203B in higher prices and the economy 2.9M fewer jobs. Jasna, a war refugee from the Balkans, became a licensed esthetician and began practicing makeup artistry, in North Carolina, in 2010. Last October, she attempted to start an academy to teach makeup techniques to other licensed estheticians and amateurs, but was prohibited from doing so by the North Carolina Board of Cosmetic Arts Examiners Chief of Enforcement. 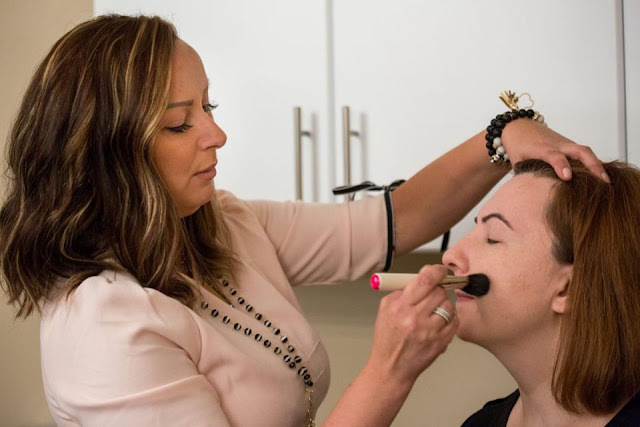 After she announced the openning of the Dahlia Institute of Makeup Artistry on Facebook, the North Carolina Board of Cosmetic Arts Examiners caught wind of it and threatened her with fines unless she obtained an esthetician teacher license. Obtaining an esthetician teacher license would require Jasna to buy $10,000 worth of equipment she wouldn't need such as a thermal wax system, a facial vaporizer, and a galvanic current apparatus. On top of the unnecessary capital expenditures, Jasna would also be required to teach the state's 600 hour esthetician curriculum, only a fraction of which addresses makeup. Of the 170 performances the state requires students to complete its esthetician curriculum, only 30 are related to makeup application. In other words, Jasna would have to teach other arts in an academy exclusively devoted to makeup. North Carolina is one of thirty-six states that require a license to apply makeup for pay. Most states require people to get three to nine months of education and experience, pass two exams, and pay an average of $116 in fees just to apply makeup for pay. The Institute for Justice is contesting North Carolina's esthetician teacher licensing requirement on 1st amendment grounds, although this doesn't get to the heart of the matter. While the occupational licensing mandate for teaching makeup certainly stiffles free speech it imposes a much greater economic burden on women interested in cosmetics, especially lower class immigrant women. The opportunity and financial cost the state imposes on would be makeup artist is the most burdensome on this demographic who don't necessarily have the luxury of spending hundreds of hours on course work and thousands of dollars on education and licensing for something that could be learned for free on Youtube. Of course, the fact that occupational licensing tends to hurt the poor is not what makes it horrendous. The principle of the matter is that you shouldn't need the government's permission to make a living: to provide for your needs and the needs of others, especially doing something as mundane as teaching about makeup. The liberty to work, is the liberty to provide food, shelter, clothing, and savings for yourself, and perhaps some luxury items if you can afford them. To prohibit a person from working is to prevent them from meeting their basic needs and saving for future needs at gun point; in short, it is to rob them of their dignity and force them into a subordinate position.